Networks are at the core of ICT business providing connectivity and services such as voice, messaging and broadband for customers. We are now embarking on the next generation mobile platform, 5G, which has been coined a General Purpose Technology. New and innovative technologies such as Internet of Things, Virtualization and Cloud, millimeter wave radio networks, massive MIMO etc. are all central in 5G. Check out the basic Q&A below to learn more about 5G technology, business opportunity for ICT service providers, as well as the IoT's many technology aspects. 5G is the next generation mobile network, introducing new radio and core network solutions. Leveraging much on the existing 4G network, but it will secure the further capacity for mobile broadband, supporting IoT and addressing new areas for industry and public services. New spectrum will allow for significantly increased capacity (& speed) and new architecture will allow for very low latency. The change with 5G is a much wider support for new services and areas for mobile connectivity, and a smart adaption for the different needs/requirements. What’s the plan for 5G launch? Leading ICT Service providers are going to run piloting activities around several use cases and locations to gain experience. As for 4G, ICT companies will start building 5G coverage in order to hold the best network position and start working to introduce 5G for new areas – such as e-health, public safety and industry. What are some key beliefs when it comes to 5G? In order to fully utilize the commercial potential of new 5G capabilities, there is a need to be first. Transport networks are the crux of the Internet and fundamental for all network services in a future of cloud, virtualization and 5G. A little mentioned fact about mobile networks is that most of their infrastructure is a fixed network. The transport network is what provides connectivity between the cell sites and the mobile core sites and further on to the Internet. The global teams of transport networking experts are in a joint effort together with focus on how to build transport network efficiently for 5G. More fiber will be needed to carry the increased traffic load between the radio network and the mobile core. 5G networks have very strict timing requirements which will have to be provided by the transport network. In addition, automation solutions for the transport network services must be in place to cater for the 5G use-cases that envision a very high dynamics of delivering network services. machine learning and training by use of precedents can be considered synonymous. Many methods of inductive learning were developed as an alternative to classical statistical approaches.Robots Take Over Jobs entire techno think tanks are predicting.what is machine learning algorithm ? Can you provide a modern three-dimensional shooter with an infinite number of different levels? You can, if you train artificial intelligence to create them. This is what the researchers from the Polytechnic University of Milan have been doing. Their algorithms are trained on the well-known game Doom. How Frightened Should We Be of AI ? Three-dimensional shooter Doom appeared 25 years ago thanks to the talented programmer John Carmack. He for a long time lingered on the drives of personal computers because of the efforts of John Romero and American McGee, who created the levels for the game. In addition, id Software released a level editor that allowed players to add a continuation to the game for free. The continued popularity of the game and the huge number of levels created by real people made Doom ideal for training artificial intelligence. But we should pay tribute to the researchers from the University of Milan. They applied a very interesting approach to their task. An adversarial network was created. Two algorithms have studied thousands of levels of Doom, created during the entire existence of the game. After that, one of them began to compose his own levels, and the second compared the levels created by people with levels created with the help of artificial intelligence. If the algorithm could not distinguish the level for the game that created another algorithm, from the levels created by people, such a level was considered suitable for the game. Of course, now very few people play Doom, but this approach can be used for any modern game. It is important only to train well the artificial intelligence, and then people like Romero and McGee will no longer have work. As you, of course, noticed, machine learning on devices is now developing more and more. Apple mentioned this about a hundred times during WWDC 2017. 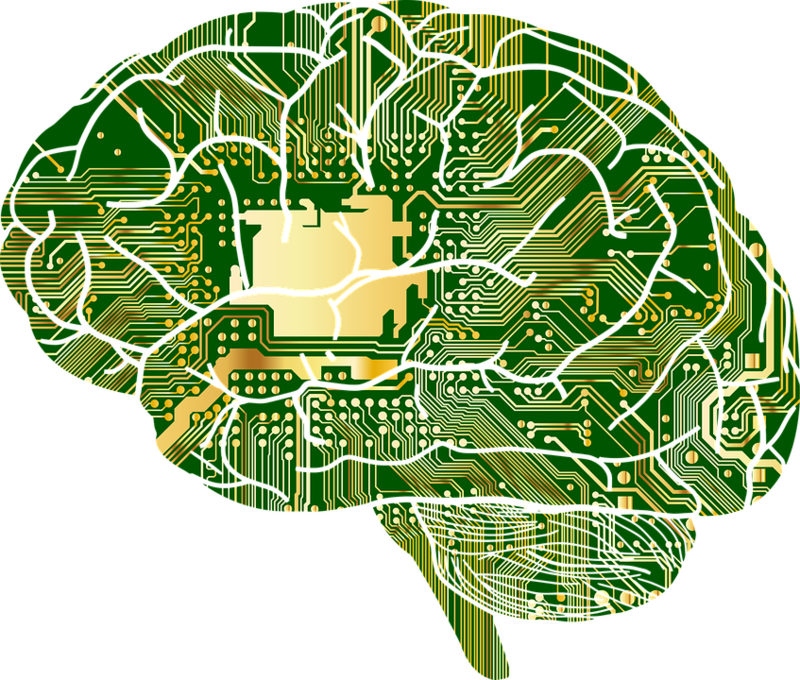 It's no surprise that developers want to add machine learning to their applications. However, many of these learning models are used only to draw conclusions based on a limited set of knowledge. Despite the term "machine learning", no learning on the device occurs, knowledge is inside the model and does not improve with time. The reason for this is that learning the model requires a lot of processing power, and mobile phones are not yet capable of it. It is much easier to train models offline on a server farm, and all improvements to the model include in the application update. It is worth noting that training on the device makes sense for some applications, and I believe that with time, such training of models will become as familiar as using models for forecasting. In this text I want to explore the possibilities of this technology. The most common application of deep and machine learning in applications is now the computer vision for analyzing photos and videos. But machine learning is not limited to images, it is also used for audio, language, time sequences and other types of data. The modern phone has many different sensors and a fast connection to the Internet, which leads to a lot of data available for the models. iOS uses several models of in-depth training on devices: face recognition in the photo, the phrase " Hello, Siri " and handwritten Chinese characters . But all these models do not learn anything from the user. Almost all machine learning APIs (MPSCNN, TensorFlow Lite, Caffe2) can make predictions based on user data, but you can not get these models to learn new from these data. Now the training takes place on a server with a large number of GPUs. This is a slow process that requires a lot of data. A convolutional neural network, for example, is trained on thousands or millions of images. Training such a network from scratch will take several days on a powerful server, a few weeks on the computer and for ages on the mobile device. Learning on the server is a good strategy if the model is updated irregularly, and each user uses the same model. The application receives a model update every time you update the application in the App Store or periodically load new settings from the cloud. Now training large models on the device is impossible, but it will not always be so. These models should not be large. And most importantly: one model for everyone may not be the best solution. The application can learn from the data or behavior of the user. The data will remain on the device. Transferring any process to the device saves money. The model will be trained and updated continuously. This solution does not work for every situation, but there are applications for it. I think that its main advantage is the ability to customize the model to a specific user. The keyboard learns based on the texts that you type, and makes assumptions about the next word in the sentence. This model is trained specifically for you, not for other users. Since training takes place on the device, your messages are not sent to the cloud server . The "Photos" application automatically organizes images into the "People" album. I'm not entirely sure how this works, but the program uses the Face Recognition API on the photo and places similar faces together. Perhaps this is simply uncontrolled clustering, but the learning should still occur, since the application allows you to correct its errors and is improved based on your feedback. Regardless of the type of algorithm, this application is a good example of customization of user experience based on their data. Touch ID and Face ID learn based on your fingerprint or face. Face ID continues to learn over time, so if you grow a beard or start wearing glasses, it will still recognize your face. Motion Detection. Apple Watch learns your habits, for example, changing the heartbeat during different activities. Again, I do not know how this works, but obviously training must occur. Clarifai Mobile SDK allows users to create their own models for classifying images using photos of objects and their designations. Typically, the classification model requires thousands of images for training, but this SDK can learn only a few examples. The ability to create image classifiers from your own photos without being an expert in machine learning has many practical applications. Some of these tasks are easier than others. Often "learning" is simply remembering the last action of the user. For many applications this is enough, and this does not require fancy machine learning algorithms. The keyboard model is simple enough, and training can occur in real time. The "Photos" application learns more slowly and consumes a lot of energy, so training occurs when the device is on charge. Many practical applications of training on the device are between these two extremes. Other existing examples include spam detection (your email client learns on the letters you define as spam), text correction (it learns your most common mistakes when typing and fixes them) and smart calendars, like Google Now , that study recognize your regular actions.AI and machine learning in 2018 2019 2020 are going to change alot. How far can we go in Machine Learning ? If the goal of learning on the device is to adapt the machine learning model to the needs or behavior of specific users, then what can we do about it? Here's a funny example: a neural network turns the drawings into emoji. She asks you to draw some different shapes and learns the pattern to recognize them. This application is implemented on the Swift Playground, not the fastest platform. But even under such conditions, the neural network does not study for long - on the device it takes only a few seconds ( that's how this model works ). If your model is not too complicated, like this two-layer neural network, you can already conduct training on the device. Note: on iPhone X, developers have access to a 3D model of the user's face in low resolution. You can use this data to train a model that selects emoji or another action in the application based on the facial expressions of the users. Smart Reply is a model from Google that analyzes an incoming message or letter and offers a suitable answer. It is not yet trained on the device and recommends the same answers to all users, but (in theory) it can be trained on the user's texts, which will greatly improve the model. Handwriting recognition, which will learn exactly on your handwriting. This is especially useful on the iPad Pro with Pencil. This is not a new feature, but if you have the same bad handwriting as mine, then the standard model will allow too many errors. Recognition of speech, which will become more accurate and adjusted to your voice. Tracking sleep / fitness applications. Before these applications will give you tips on how to improve your health, they need to know you. For security reasons, it's best to stay on the device. Personalized models for dialogue. We still have to see the future of chat bots, but their advantage lies in the fact that the bot can adapt to you. When you talk to a chat-bot, your device will learn your speech and preferences and change the answers of the chat-bot to your personality and manner of communication (for example, Siri can learn to give fewer comments). Improved advertising. No one likes advertising, but machine learning can make it less intrusive for users and more profitable for the advertiser. For example, an advertising SDK can learn how often you look and click on ads, and choose more suitable advertising for you. The application can train a local model that will only request advertisements that work for a particular user. Recommendations are the widespread use of machine learning. The podcast player can be trained on the programs you listened to to give advice. Now applications are performing this operation in the cloud, but this can be done on the device. For people with disabilities, applications can help navigate the space and better understand it. I do not understand this, but I can imagine that applications can help, for example, distinguish between different drugs using a camera. These are just a few ideas. Since all people are different, machine learning models could adapt to our specific needs and desires. Training on the device allows you to create a unique model for a unique user. Before applying the model, you need to train it. Training should be continued to further improve the model. Lack of training on user data. Collect your own data or use publicly available data to create a single model. When you improve a model, you release an application update or simply load new settings into it. So do most of the existing applications with machine learning. Centralized training. If your application or service already requires data from the user that is stored on your servers, and you have access to them, then you can conduct training based on this data on your server. User data can be used to train for a particular user or for all users. So do platforms like Facebook. This option raises questions related to privacy, security, scaling and many others. The question of privacy can be solved by the method of "selective privacy" of Apple, but it also has its consequences . Collaborative training. This method moves training costs to the users themselves. Training takes place on the device, and each user teaches a small part of the model. Updates of the model are sent to other users, so that they can learn from your data, and you - on them. But this is still a single model, and all of them end up with the same parameters. The main advantage of such training is its decentralization . In theory, this is better for privacy, but, according to studies , this option may be worse. Each user is trained in his own model. In this version, I am personally most interested. The model can be learned from scratch (as in the example with pictures and emoji) or it can be a trained model that is customized for your data. In any case, the model can be improved over time. For example, the keyboard starts with a model already taught in a specific language, but eventually learns to predict which sentence you want to write. The downside of this approach is that other users can not benefit from this. So this option works only for applications that use unique data. How to Train on the Device to Learn? It is worth remembering that training on user data is different from learning on a large amount of data. The initial model of the keyboard can be trained on a standard body of texts (for example, on all Wikipedia texts), but a text message or letter will be written in a language different from the typical Wikipedia article. And this style will differ from user to user. The model should provide for these types of variations. The problem is also that our best methods of in-depth training are rather inefficient and rude. As I said, the training of the image classifier can take days or weeks. The learning process, stochastic gradient descent, passes through small stages. The data set can have a million images, each of which the neural network will scan about a hundred times. Obviously, this method is not suitable for mobile devices. But often you do not need to train the model from scratch. Many people take an already trained model and then use transfer learning based on their data. But these small data sets still consist of thousands of images, and even so the learning is too slow. With our current training methods, the adjustment of models on the device is still far away. But not all is lost. Simple models can already be trained on the device. Classical machine learning models such as logistic regression, decision trees, or naive Bayesian classifiers can be quickly trained, especially when using second-order optimization techniques such as L-BFGS or a conjugate gradient. Even the basic recurrent neural network should be available for implementation. For the keyboard, the online learning method can work. You can conduct a training session after a certain number of words typed by the user. The same applies to models that use an accelerometer and traffic information, where the data comes in the form of a constant stream of numbers. Since these models are trained on a small part of the data, each update must occur quickly. Therefore, if your model is small and you do not have so much data, then training will take seconds. But if your model is larger or you have a lot of data, then you need to be creative. If the model studies people's faces in your photo gallery, it has too much data to process, and you need to find a balance between the speed and accuracy of the algorithm. Large models. For deep learning networks, current learning methods are too slow and require too much data. Many studies are now devoted to learning models on a small amount of data (for example, in one photo) and for a small number of steps. I am sure that any progress will lead to the spread of learning on the device. Multiple devices. You probably use more than one device. The problem of transferring data and models between the user's devices remains to be solved. For example, the application "Photos" in iOS 10 does not transmit information about people's faces between devices, so it learns on all devices separately. Application updates. If your application includes a trained model that adapts to user behavior and data, what happens when you update the model with the application? Training on the device is still at the beginning of its development, but it seems to me that this technology will inevitably become important in the creation of applications. An advanced prototype robot child named David is programmed to show unconditional love. When his human family abandons him, David embarks on a dangerous quest to become a real boy. The research process, and behind it the emerging market, is now moving forward primarily machine learning. This subsection of AI works through algorithms of artificial neural networks . Neural networks function according to the principle of the human brain, that is, they draw conclusions based on analysis of large data sets.For example, a group of researchers from the Massachusetts Institute of Technology (MIT) in December 2016 taught artificial intelligence to supplement static images with dynamic ones. To do this, scientists "fed" AI 2 million videos with a total duration of about a year and programmed the development for predicting a static image. So, when the "intellect" from MIT received a photo of the beach, it "enlivened" it with the help of propulsion of sea waves. And according to the image of the railway station, the AI ​​"directed" a short film (so far only 32-second timekeeping) about the departure of the train. Practical application of the technology is useful, for example, unmanned vehicles, which in the case of obstacles appearing on the road, one must be able to instantly make a decision about a sharp maneuver or continuation of traffic in order to avoid tragic consequences (today up to 90% of accidents occur due to the driver's fault). Similarly, he trains his development of Google. The corporation, for example, (with the support of Oxford University) has taught AI to read lips more effectively than professional linguists. After studying the "intellect" 5 thousand hours of video, he was able to consider 47% of words from a random sample of 200 fragments, while a man - only 12%. Also the company in an entertaining form offered users to teach AI better to recognize images. To do this, in November 2016, a game experiment was launched, Quick, Draw !, under which AI must guess in 20 seconds what the person is drawing on the screen. The principle of image recognition, many companies already use and for commercial purposes. So, the Russian startup Prisma has trained its neural network to process photos of users in the style of different artists. The output was a service, downloaded, according to the Techcrunch portal, more than 70 million times around the world and recognized by Apple as the "application of the year" for the iPhone. By 2020, the AI ​​market will grow tens of times and reach $ 153 billion, analysts at Bank of America Merrill Lynch predict. According to their calculations, most of the market - more than $ 80 billion in monetary terms - will capture the developers of solutions for robotics . In addition to the mentioned use of AI in laying out drone routes , the technology will be needed, for example, to improve the concept of "smart houses" and develop the logistics of commercial drones (in December Amazon already made the first commercial delivery of a drone in Britain). In the footsteps of OpenAI followed by other companies. In December 2016, Apple announced plans to lay out what the AI ​​had in the public domain. Earlier, Microsoft, IBM, Amazon, Google and Facebook announced the merger of efforts for the synergy of research "capacities". The world's largest social network is particularly interested in the rapid development of AI technologies to combat fake news in the tapes of user subscriptions. At the finish of the presidential campaign in the United States, false informational occasions became a serious problem for the service: from February to November, users "jumped" or "reposted" the 20 most popular "fakes" 8.7 million times, while the top 20 real news caused only 7.4 million reactions. Algorithms of machine learning are used almost in all "fashion" today technological directions of research - from unmanned vehicles to smart home systems. AI technologies can potentially change any branch of the economy and almost any business. So, in the near future - 2017-2018, according to the forecast of the analytical company McKinsey, machine training will turn the recruitment market (artificial intelligence more accurately than professional "bounty hunters" will be able to search for optimal candidates for employers) and some segments of the IT market (for example, stormy the development of chat bots allows the business to build new communication strategies, including in social media). In the future, AI should help states and businesses deal with cyberthreats. So, AI-Squared, a joint project of the Massachusetts Institute of Technology (MIT) and the PetternEx start-up, is a platform that processes large amounts of user data using a neural network algorithm to detect cyber attacks. Based on the results of a year and a half of platform tests (during this time it analyzed 3.6 billion files), its developers announced the detection and prevention of 85% of the attacks. artificial intelligence job description,future robots in the home entry level artificial intelligence jobs,artificial intelligence jobs at google robots in the future facts artificial intelligence future applications and many more. 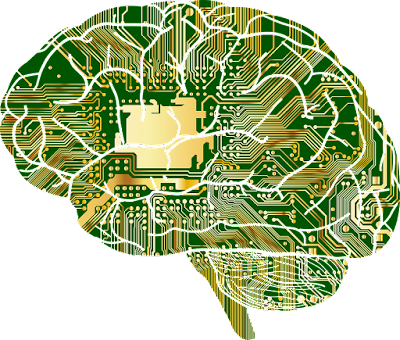 Neural networks have long been used in cybersecurity technologies. For example, Kaspersky Lab, about a decade ago, created a special module capable of recognizing digital passwords in the form of pictures that malicious programs used to distribute in e-mail. Another example is image analysis technologies on websites for identification by means of parental controls or an adjacent technology for recognizing spam on an image. Neural networks are widely used to analyze network traffic: with their help, cybersecurity specialists are looking for anomalies that may indicate suspicious activity. But apart from the positive consequences, the development of artificial intelligence carries risks as well. In the coming years, AI technologies will continue to attack users, the report of the analytical company ArkInvest says. According to experts, in the next twenty years, artificial intelligence can destroy only 76 million jobs in the US - ten times more than it was created during the years of Barack Obama's presidency. And in the perspective of thirty years AI can bring the global unemployment rate (with the current structure of the labor market) to 50%, The Guardian wrote, citing Professor Rice Moshe Vardi. how does technology affect business today are the questions now a days required workable solutions. Modern business dynamics and trends in data, pushed by emerging Internet technologies, led to a significant increase in the amount of data stored in corporate systems. Many enterprises are faced with the problem of excess information as per big data predictions by researchers like forbes big data. Transaction processing systems generate daily reports. In hundreds of ways, using data warehouses and analytical tools, longitudinal and lateral slices of information (slice and dice) are performed. Tools for enterprise resource planning ( E Nterprise the R esource P Lanning, of ERP) collect all the data of the company. Tools for assessing performance and information received through the Internet further increase information congestion. The situation is further complicated by the fact that modern enterprises operate on the world market, which means that their data and applications are geographically distributed. each branch has its own program and its own repository. Resources planning tools are implemented at all levels: applications for human resource management, financial systems and production-oriented software are created. The information used to work with these applications is stored in disparate sources (in different relational databases, as well as in special format files and in multidimensional samples). Today, many companies lose money and time, manually distributing information resources. According to some studies, about 15% of revenues are spent on the creation and distribution of paper documents on average. Thus, according to the Gardner Group, corporate employees spend 10% of their time looking for information necessary for a certain task or for making decisions, from 20% to 40% of the time - for processing already ready documents and 30% for tasks related with documents, but not adding value to the final service (product) of the company. A new concept called "information broadcasting" is a technology that makes possible the transmission of personalized messages needed to support decision making via the Web, e-mail, fax, pager, mobile phone to hundreds of thousands of addressees. Automating the process of sending information can provide users with timely data, expand the company's capabilities and prevent the accumulation of unnecessary data. Moreover, the intellectual resources of the enterprise, created with the help of BI tools and analytical packages, should be automatically transferred also to the applications used in the operational departments to support decision making. Automatic saving of information in various working formats (HTML, PDF, Excel, etc. ), which will satisfy the needs of specific users and allow performing the analysis. Distribution of significant material necessary for decision-making, including materials of "third parties" (drawings, Word documents, Power Point presentations, reports created both with the help of software purchased from various BI suppliers, and legacy reporting applications). Delivery of information via various channels, such as e-mail, Web, fax, network printer, etc . ; transfer of information to mobile devices. Providing only the necessary reports, which frees users from tedious viewing of all materials in the search for necessary sections. An intuitive system for cataloging and storing information, especially important in connection with the adoption of many legislative measures concerning the storage and management of documents. Support for any number of users, thanks to which the software for distribution of information will be able to scale successfully as the organization grows. Examples of the effective use of applications that distribute information in this big data and ai trends world. According to Gardner Group, on average, each document is copied 9-11 times. Mailing and delivery of hard copies is a rather laborious procedure, including sending faxes and emails, or manually delivering. This problem is almost completely eliminated with the use of electronic reports: not only paper consumption is reduced, but also other expenses, and, most importantly, the execution time of this work is significantly reduced. The software intended for dissemination of information automatically sends data to those who are interested in them. This intelligent method of distribution further reduces the labor costs associated with manual processing of documents. The user no longer needs to search for information, it is automatically sent to his mailbox. Applications for the delivery of information provide the execution of requests through e-mail. In accordance with some schedule (daily, weekly, etc. ), certain information material is formed and sent to the subscriber. And now you do not need to make the same reports for hours. (For example, sales managers can assign a specific day in which they will receive a monthly report on their departments' work in their mailbox). To regulate the distribution plan, you can either only the administrator or several authorized users. The content, time, frequency, format and even method of dissemination of information can vary according to individual requirements. The administrator can schedule special notifications that will be sent to users if certain conditions are met. Such a dispatch will shorten the working time spent by the administrator on sending daily messages, as well as on the execution of reports by users and search for information. The administrator sets the notification condition, during which certain information is sent. Planned tasks stored in the repository are checked with a user-friendly frequency. If a scheduled notification check is detected, then the application tests all conditions (business rules). If the conditions are not met, the information is not sent, and the notification check is postponed for the next scheduled time. If the result of the test is positive, then the corresponding information is generated and sent as a notification. The notification is activated according to the settings (automatically, permanently, once, with a delay). manager for working with corporate clients, if a large customer receives a complaint. Reporting automates the manual process of "paper pushing", as a result, it is possible to significantly reduce administrative costs and processing time. For example, we will present a report that contains information on spent and missed days for each employee. The pages of this report can be automatically broken down and sent electronically to each employee, while many and many hours of HR department work will be saved. Information for employees, partners and customers can be distributed through Intranet / Extranet and the Internet. Due to this, the space of access to information expands and new ways of doing business are opened. corporate information portals and distribution servers. It is important to note that these technologies are not interchangeable: for maximum effect they should be used together. Web-oriented BI-tools and analytical software packages distribute information and results of analytical operations through standard graphical and Web-interfaces. Many of these products also support scheduled and event-driven delivery of information to Web servers and mail systems, thereby leveraging all the capabilities of the underlying network tools. As the volume of business information processed in the decision-making system grows, it becomes more likely that data will be distributed within a series of information stores located on different servers. This is true, for example, in cases where organizations obtain business information from external sources, internal offices, shared software and Web servers. To help users apply this wide range of business data (both for unregulated access and for offline delivery), the second technology is used - corporate information portals . When publishing corporate information on the portal, metadata about the location of particular information is used, as well as methods of extracting them. When the employee makes the requested request, the portal reads the relevant metadata and, using the means of access and delivery, selects the necessary information. Rapid development and high competition in the market do not forgive mistakes. In this environment, it is necessary to make decisions correctly and in a timely manner. However, the task of finding the information necessary for this, seemingly simple at first glance, causes a number of difficulties, since the data are accumulated and stored throughout the organization. To solve it, companies need to develop infrastructures that ensure the timely dissemination and sharing of information. optimal storage of files and the realization of a simple and quick extraction of the necessary information.